Methods to convert between strings of ASCII Arabic digits and native numeral strings. 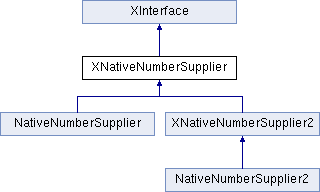 Convert XML attributes to a NatNum value. Convert a specific NatNum/Locale combination to attributes used in the XML file format. nNativeNumberMode One of NativeNumberMode values. Returns native number string for given number string. Check if the NatNum is valid for the given locale.